meals, snacks, and small bites of this and that. So be it. but the important question was what to have for Sunday lunch. stall that the three of us ripped into and ate in the rain as we walked. young and firm and mellow and I savored it. wedged into a tiny bit of real estate that was ours for the duration of lunch. can go here to read about it. Just be sure, if you are in Paris, that that you don’t miss the experience. thought that maybe we could do with a little something. (and to me) to fit in newly arrived members, there was no doubt about where in the world I was. perfectly cooked pepper steak for J. Tarte Tatin for dessert with a bowl of lusciously sour crème fraîche. I’m loving these daily dispatches from Paris! 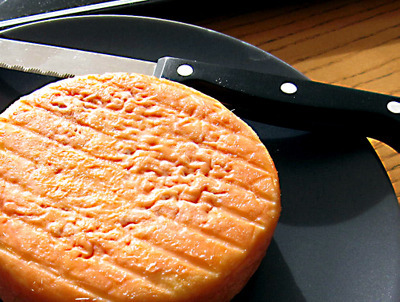 And I had no idea young Epoisses was mild and mellow–I always think of it as the epitome of stinky cheese. In any case, I hope your mom’s surgery goes well. She’s in my thoughts. Thanks, Lisa. Glad there is someone out there reading them!